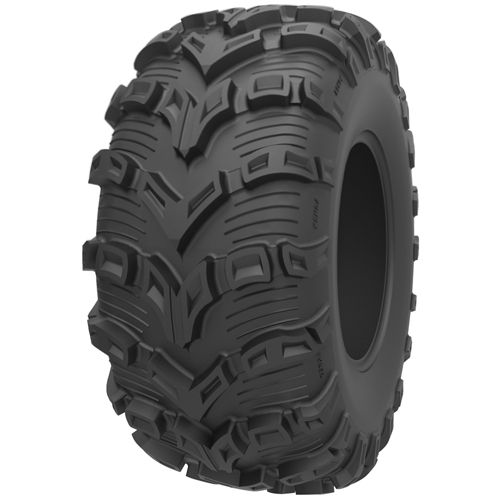 The Kenda Bearclaw EVO is an outstanding choice for ATV riders looking for a tough tire suited for all terrain. Kenda has raised the bar in all areas of performance with the Bearclaw EVO. It's unique shaped transition knobs for improve cornering traction and handling. ​The Bear Claw EVO is a 6-ply rated casting that allows for exceptional puncture resistance while keeping weight to a minimum. The new tread pattern is designed to perform exceptionally across all terrains. With its priority on reducing weight, without sacrificing durability, the Bearclaw EVO is an all terrain tire.